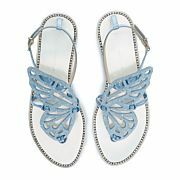 Our beautiful Bibi Butterfly sandal has been updated for our Bridal collection. 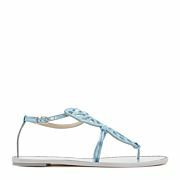 This stunning silver leather flat sandal has been finished with a sparkling ice blue glitter laser cut Butterfly detail. 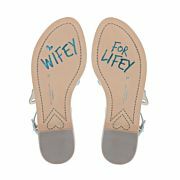 This shoe says "Wifey for Lifey" on the sole.